Shelley is back with a tutorial on how to line shorts. She’s going to demonstrate it on a pair of SoHo Shorts. Now I’ll hand it over to Shelley. Hello again. Today I’m going to show you how I went about lining a pattern and hopefully it will be applicable to most pants, shorts or skirt patterns you might wish to add a lining to. As soon as I finished my SoHo Shorts with beltloops and froze my backside off modelling them for you, I had it in my head to make another pair in wool, line them, and wear them with tights in winter. The nineteen-nineties might still be a bit fresh in your memory (it was yesterday for me) and winter shorts may not be your style, but the SoHo Shorts proved to be a great template for showing how to line a pair of trousers. 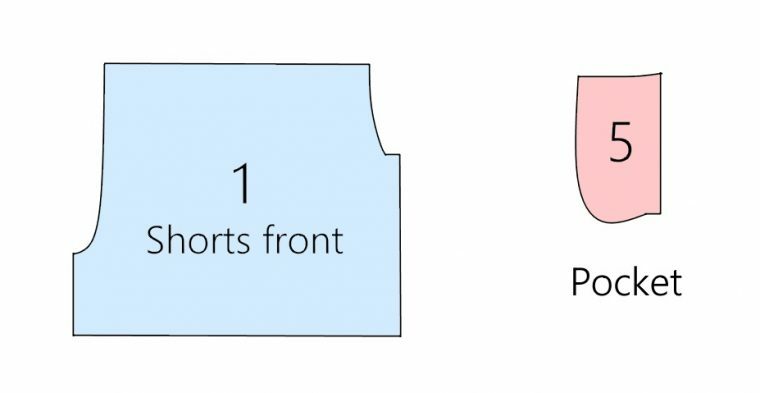 To make a pattern piece for our lining we start with the Front Shorts pattern piece and the Pocket pattern piece. The lining needs to go all the way to the side seam at the top edge of the shorts, so we lay the Front Shorts piece over the Pocket piece. 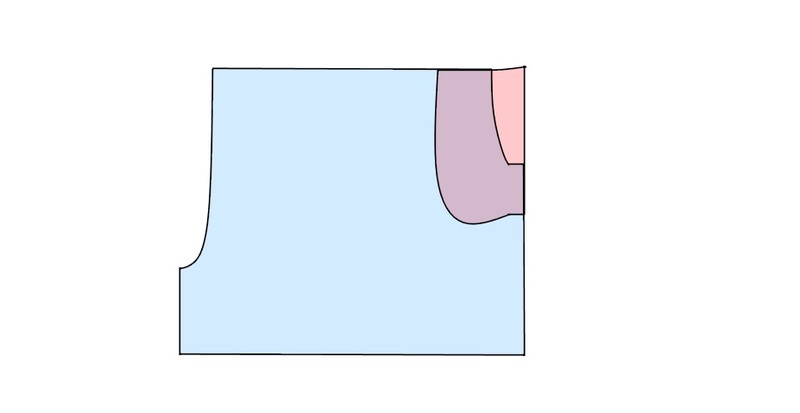 This “fills in” the missing portion in that corner of the pattern piece. In this example, the SoHo Shorts have a 1 1/2” hem, and I’m going to hem my lining with a narrow 5/8” hem. The difference between those two numbers is 7/8”. You can imagine that if I didn’t shorten the lining at all it would hang 7/8” below the shorts. Let’s choose to have the lining finished 1” shorter than the shorts hem. So, we just need to add the 1” and the 7/8” and that’s how much to cut off the bottom edge of the lining. Don’t forget to trim 1 7/8” from the back shorts lining as well. Now, if you’re sewing a simple pants pattern then that’s all you need to do. Construct the pants up to the point of attaching the waistband. Construct the lining (trimming off any faux fly), then slip the lining into the pants and baste at the top edge before attaching the waistband. That’s how I’ve lined the Art Museum Trousers for my son, and boy did he love that slippery lining feel! The SoHo Shorts throws up a few more challenges with the pleats and the zipper, so let’s get back to that pattern. 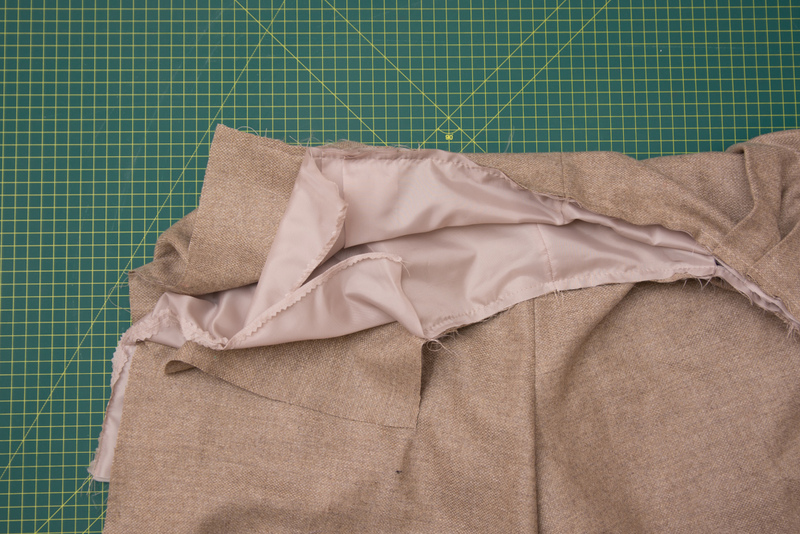 When you form the pleats in the shorts from the right side of the fabric, do the reverse with the lining. 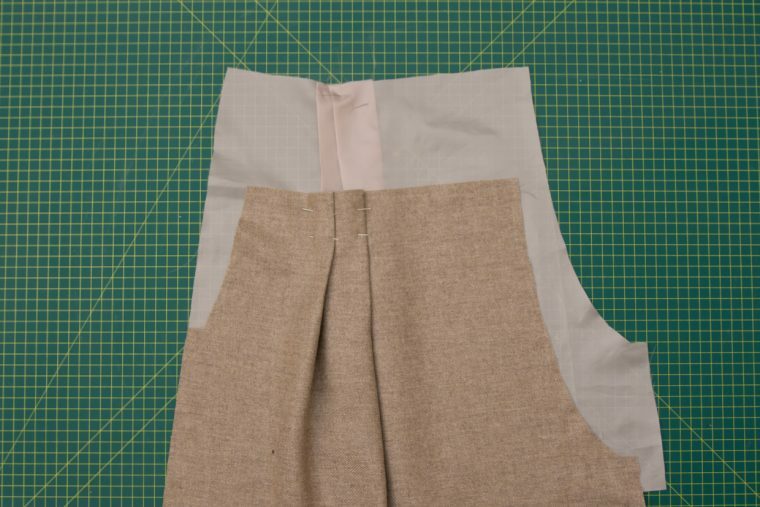 At the front of the shorts, the pleats in the main fabric and the pleats in the lining will be separated by having the pockets in between them. However, at the back the pleats can be sandwiched together as in the picture below. This will help to reduce bulk and keep the shorts from sticking out too much. 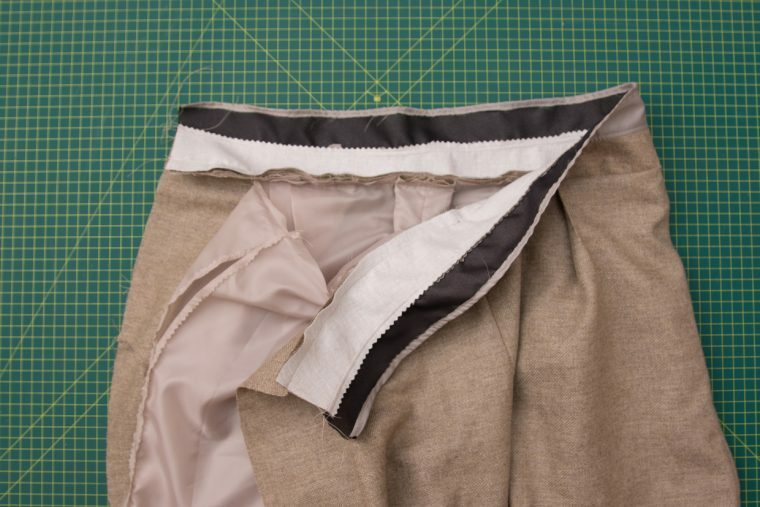 The center front pleat can be made after the lining and the shorts are basted together. We’ll come to that bit in a moment. The next challenge in lining the SoHo Shorts is accommodating the invisible side zip. The left front side seam of the shorts is left open until almost the end of construction. We can close the left side lining seam by stitching up to the dot, backstitching or lockstitching and then basting upwards to the top edge. Pay attention to which side of the lining will be the left side. Since the lining will end up right side inwards it is the reverse of the main shorts. I’m reminding you because, of course, I forgot to think carefully about that myself! Press the lining seam open, finish the seam allowance, then remove the basting stitches. 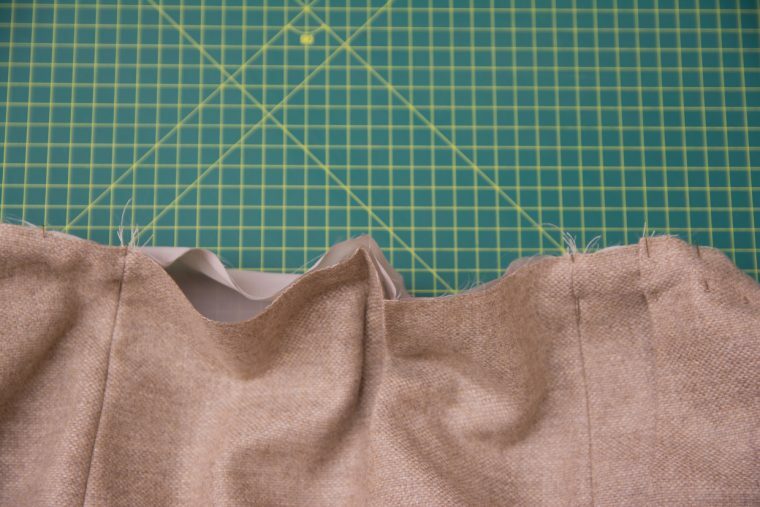 Put the lining and the shorts together with wrong sides facing and baste the waistline, leaving about two inches unattached at the beginning and end of the seam. Now is the time to make that centre front pleat, pleating both the main fabric and the lining as one. The next step is attaching the waistband. Again, we’re going to stitch until we reach the point where the basting stopped. Then, we break the stitching, move the lining out of the way and continue stitching to the end of the waistband/shorts seam. Now the zipper can be inserted exactly as per the pattern instructions. Just be careful to keep the lining free from your stitching. Once the zipper is in, and the ends of the waistband are stitched and turned right side out, the last two inches of free lining is basted to the waistband seam. 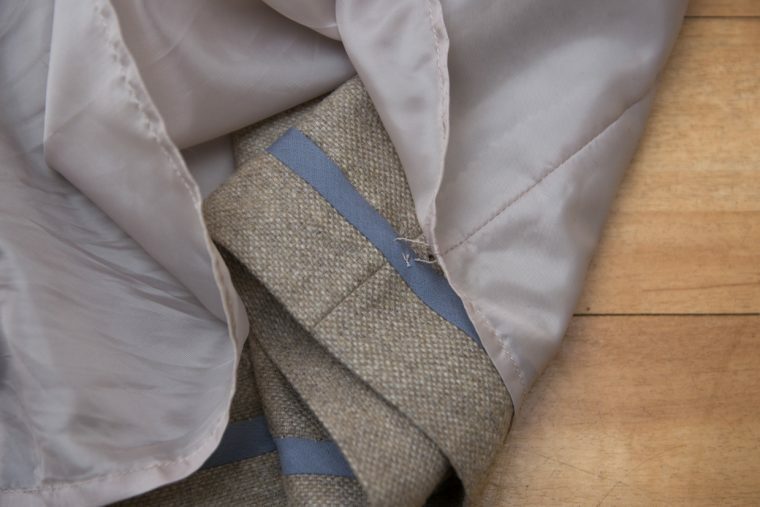 When the waistband facing is stitched down the lining will be neatly enclosed. Finally, the open part of the lining side seam is slipstitched by hand to the inside of the zipper. And you’re done! To keep the lining from moving around or riding up, make a little thread chain at the seam allowances of each side and inner leg seam. A tutorial for how to make a thread chain can be found here. 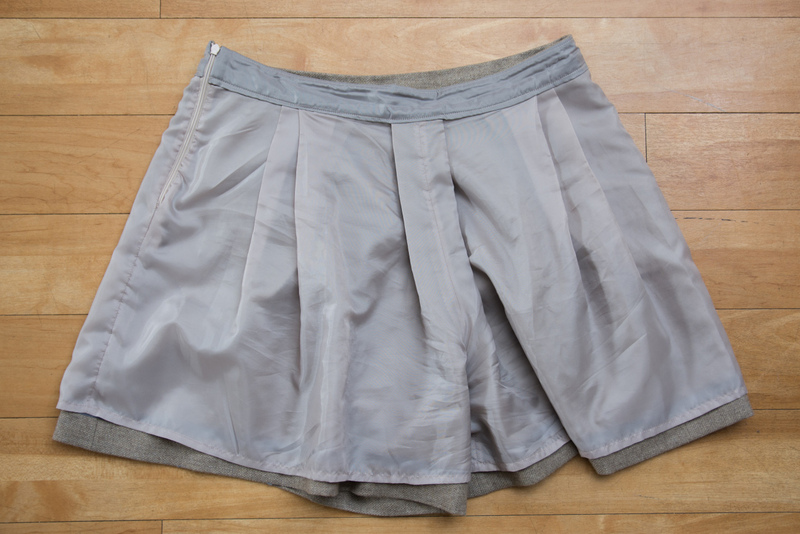 And there you have it; a very professionally finished pair of shorts that can be worn over tights or pantyhose. I’ve always refused to buy wool trousers that didn’t have at least a half lining. There’s no reason why I shouldn’t be as particular when I’m sewing for myself! awesome tutorial- very clear, and and just when I was struggling with trying to figure out how to line a pair of shorts as the lovely embroidered fabric I bought is evidently too scratchy for my daughter. Thanks Lisa, glad it helped. My kids love getting lined garments – we create fashion/quality monsters! Absolutely! I think they’d be great lengthened to culotte length. The silhouette would be very similar to the Girl Friday Culottes but with a more conventional crotch height. Lovely clear instructions, thank you. Um… would the same method work for lining the Soho skirt, please? I do love a cotton skirt lined with a light cotton fabric. Thanks! Yes exactly! You have the exact same adjustments to make to the lining, and the same pleats and side zip to consider. I’m going to make a lined skirt one day too. While I won’t be making lined trousers/shorts anytime soon, I am mostly writing to say that last photo of you is fantastic. You look absolutely lovely in your lined shorts. I am confused about pockets. You don’t cut out pocket pieces for the lining. Right? That’s correct Mary, you do not cut an extra pair of pockets. The pockets are made up of two pattern pieces. Piece 5 needs to be cut from the same fabric as your shorts/skirt as this forms part of the side above the pocket and is therefore visible. Piece 6 is the pocket bag. This can be cut from your main fabric, or, if that’s a bit heavy you might use a lightweight cotton or lining fabric for the pocket bag. Cut a mirrored pair of each of those pattern pieces. 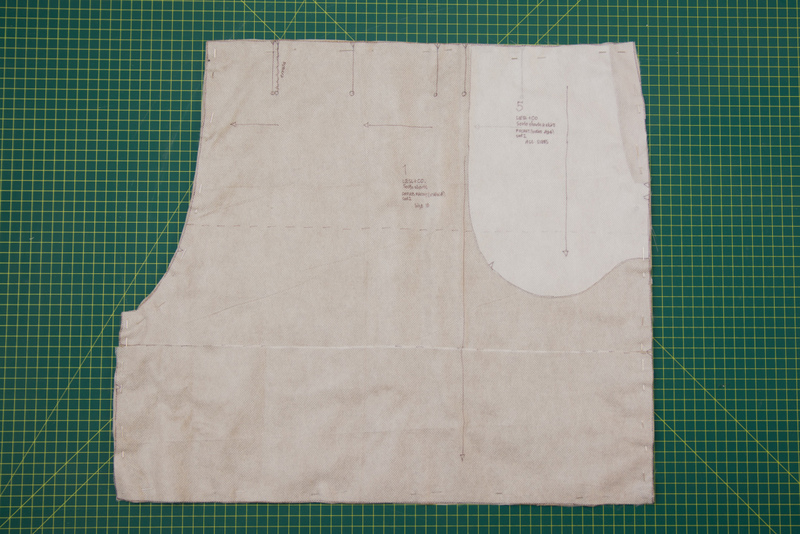 The lining is then cut with the adjustment described in the blog post to fill in that void area above the pocket. The pocket will be sandwiched between the shorts and the lining. Thank you for this tutorial. Do you have any suggestions for how to line the SoHo skirt if you only realize after you finished sewing it and wore it out once or twice that in the bright sunlight, the material you picked becomes almost see through? (My sister pointed this out to me.) I’m not sure how to line it at this late stage without taking the whole skirt apart, which I REALLY don’t want to do. Thanks in advance! Nothing worse than a see through skirt (although I don’t have the legs of a young Lady Di in that famous photo, so maybe it’s just me)! Here’s what I would do: cut a skirt of shorter length out of lining. Make sure to square off the top pocket edges as shown in the tutorial. 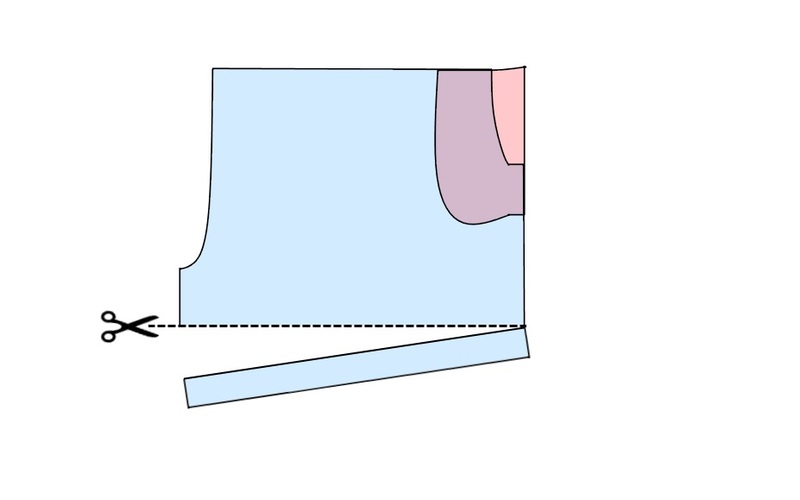 Gather the upper edge, press the seam allowance to the wrong side the hand stitch (slip stitch) the folded edge of the lining to the inner folded edge of the waistband. Bit of hand sewing, but no deconstructing. Hi Shelley, thanks for the suggestion. I’m looking forward to trying it right away. Can you help me? I made a pair of wool trousers. They were too itchy so I lined them. But….then they were too tight because the wool had some stretch to it but the lining fabric didn’t! Aaaahhh! Should I make the trousers slightly larger before lining?